The 150th Anniversary of Confederation in 2017: A Year of Celebrations You Won’t Want to Miss! 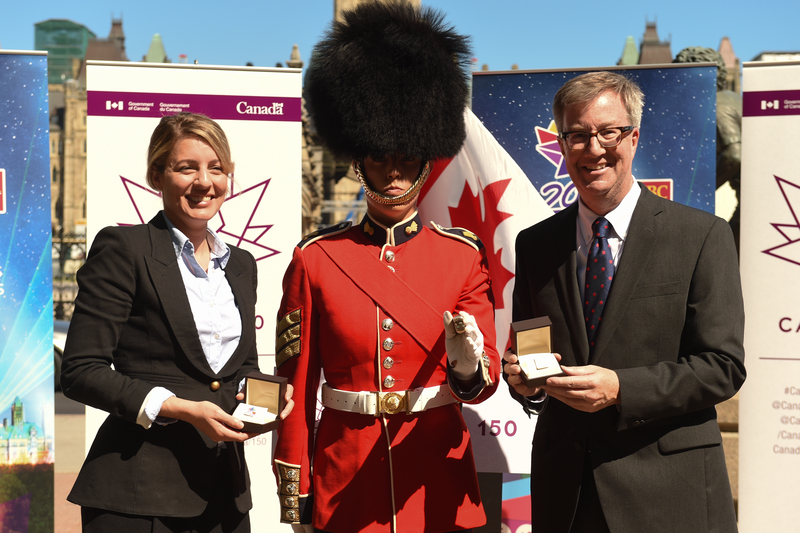 The Honourable Mélanie Joly, Minister of Canadian Heritage, today announced funding of $5 million to Ottawa 2017 (Celebrations Ottawa Inc.). Minister Joly was accompanied by Jim Watson, Mayor of Ottawa, and Guy Laflamme, Executive Director of the Ottawa 2017 Bureau. Through this investment, Ottawa 2017 will offer a diverse range of activities to highlight the 150th anniversary of Confederation in Canada’s Capital Region. Residents and visitors are invited to show their pride in being Canadian and participate in 12 full months of bold, immersive and inspirational experiences. Ottawa 2017 events will include the celebration of foreign national days, performing arts presentations highlighting Canada’s provinces and territories, an underground multimedia experience projected in one of Ottawa’s future light rail transit stations, a Canadian videogame competition projected in monumental proportions onto buildings across the city, and a host of activities related to the 125th anniversary of the Stanley Cup®, a national treasure. The 150th anniversary of Confederation gives Canadians the opportunity to get involved in their communities and to celebrate together our shared values, our achievements, our majestic environment and our country’s place in the world. To make 2017 a memorable year of celebrations for all Canadians, the Government of Canada will continue to invest in Canada-wide, regional and local projects to increase Canadians’ awareness and invite them to participate in the many events taking place throughout the year.